This is episode 136 and our first ever Holiday episode here on The Great Unknowns Presents. This has been our biggest year to date. We’ve broken so many records. We’ve gone from being No. 83,000th to No. 1 within just 3-years. This year alone we’ve had over 190,000 listeners, and our music blog, All Indie Magazine has gained a record 29,000 readers per month. Without you, we would not be here, so thank you for listening to this show whether this has been your 136th time you’ve tuned in or it’s your first time, I thank you just the same. 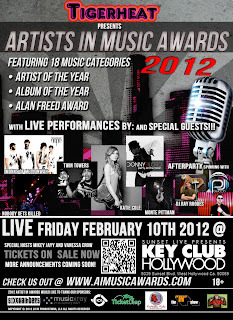 Want to be featured on this show with a chance for a nomination AND perform at the award ceremony at the 2012 All Indie Music Awards on February 10? Purchase your tickets today!